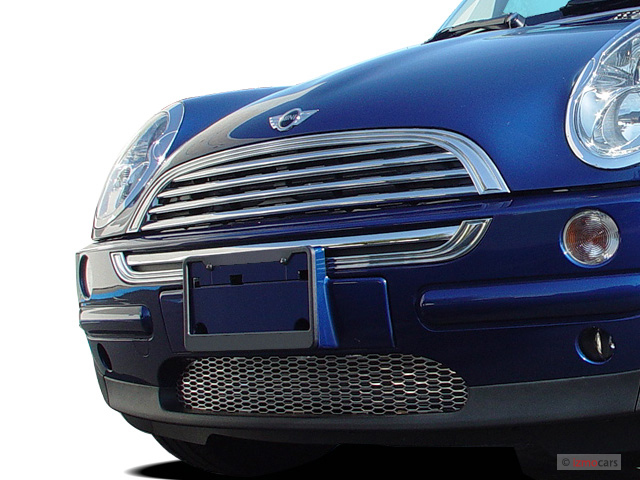 The new Chevrolet Spark mini-car has its roots in the 2007 Chevy Beat concept. Yesterday's Chevrolet press conference at the 2010 Detroit Auto Show was a pretty muted affair. While Chevy unveiled one concept car--the Aveo RS--the photos and details had been released several days before, so there seemed to be little real news. The 2011 Chevrolet Cruze was also there, but it had appeared as several shows last year, including last month's Los Angeles Auto Show. Almost lost in the shuffle was the little Chevrolet Spark, the Korean-designed mini-car that is likely to sell well in Asia and adequately in Europe. But what of the U.S.? The answers remain unclear. It's the smallest Chevy ever built, small enough that some reviewers feel it's so small it will never find a place in the U.S. outside those brave few who really don't need more than 12 feet of car. At that size, the Spark isn't competing with the (154-inch-long) 2011 Ford Fiesta, which will join the 2011 Honda Fit and several other subcompact hatchbacks in appealing to college students and first-time buyers. 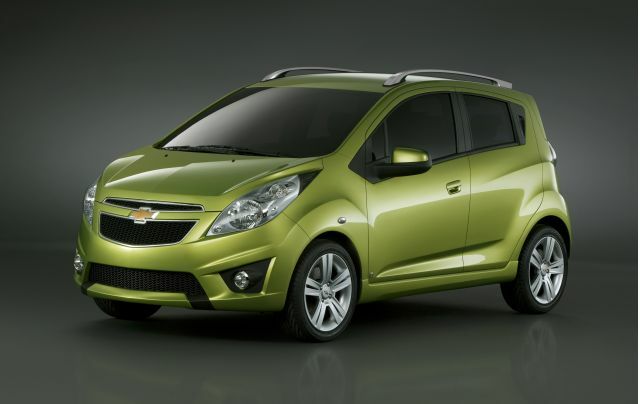 Instead, those cars will be attacked by the new 2011 Chevrolet Aveo (now called the Sonic). The Aveo RS concept indicates that car will be longer, wider, and larger inside than the current model. Its 1.4-liter turbocharged Ecotec four-cylinder engine, estimated at 138 horsepower, is mated to a six-speed manual gearbox. 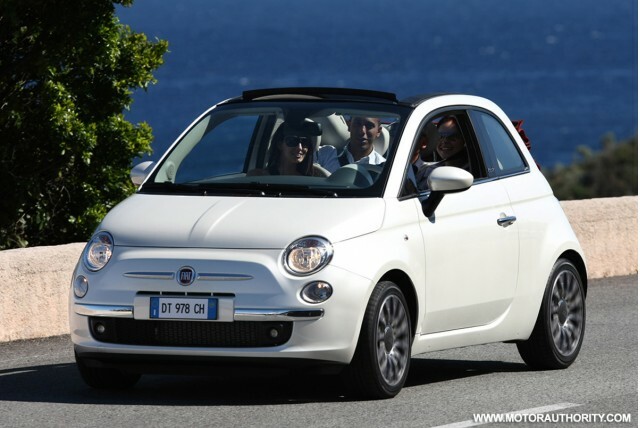 As chic as Mini, Fiat 500? This larger Aveo leaves an open niche for the Spark, even if it's one that Chevrolet has never sold into. The 2013 Spark is half a size smaller, competing with cars like the 2010 Mini Cooper, the tiny two-seat 2010 Smart ForTwo, and the upcoming Fiat 500. Those cars are almost fashion accessories, though, with the Mini maintaining its historic legacy of roller-skate handling and the Fiat 500 exuding smart Italian chic. So the question becomes, Is there a market for a tiny five-door hatchback that's more practical than fashionable? "Vehicles like that will only do really well if fuel prices get high again," says IHS Global Insight analyst Aaron Bragman. "Something that small--much smaller than, say, a Ford Focus--has limited appeal unless gas prices soar." What do you think? Would you buy a 12-foot-long Chevrolet? Leave us your comments, below.